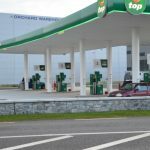 In July 2012 Petro Systems Management Ltd became the First Company in Ireland to be appointed by the Legal Metrology Service, NSAI as Authorized Verifiers of Liquid Fuel Dispensers under Section 12 of the Metrology Act 1996. our highly trained Authorized Verifiers can carry out the Calibration and Verification (sealing) of Fuel Pumps using approved procedures, traceable to national standards. 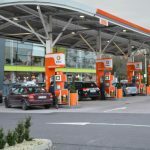 First of all lets see how we observe some of these losses when we carry out verification operations on your forecourts. 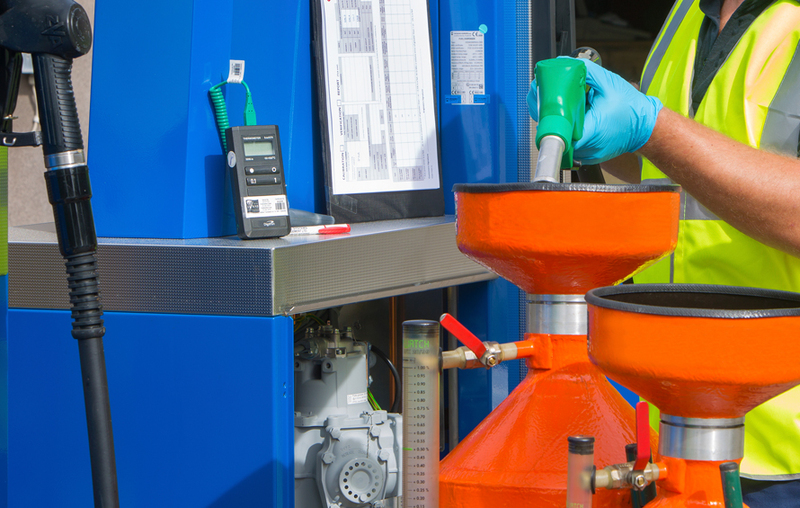 Our technicians carry out a complex strict procedure to check the accuracy of the forecourt pumps. 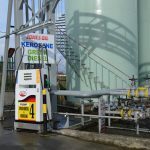 However, at a basic level, it boils down to pumping fuel into a very accurate container and then comparing the volume indicated on the petrol pump against the volume on the container. The pump is then adjusted to compensate for any errors. When a legal metrology Inspector visits your site to inspect your fuel dispensers and finds that the fuel dispensers are within a tolerance of + 1/ – 0.5% he will not instruct you (but he may advise you) to get your fuel dispensers calibrated, if there are no seals broken this means you could have fuel dispensers over dispensing by up to 1% . In the past fuel dispensers were not always calibrated back to strike (as close to zero mark as possible) it was generally accepted that fuel dispensers would be verified and sealed within a tolerance of 0 + 0.5%. Because margins are so tight the accepted tolerances of the past are unacceptable and when fuel meters are being calibrated they must be set back to Zero and if this is not possible worn metres should be replaced. Take sales of 1000,000 litres, in our experience, we have found the the average tolerance across all the nozzles tested on a forecourt is .25% over dispensing. This amounts to 2,500 liter give away per 1 million sold. As the tolerance on an inspection is + 1% to – 0.5% it is naturally swayed in favour of the motorist. As pumps wear, by virtue of the way they are built they will tend to dispense more that the reading given on the display. Worn pumps and ones that haven’t been adjusted to strike are going to be affected by the lack of calibration.